Have you ever met someone in the same point of life as you where you felt instant kinship? That happened when I met JenniferH. We were joining the MOMs Club in Bristow, VA., at the same time–she had just recently had her second child and I was pregnant with mine. We were the same age, married the same year, both played softball (her first base and me third base) and went to high schools in the same county, though we didn’t know each other. We immediately clicked and throughout the past 13 years this fall we have been there for each other through thick and thin. 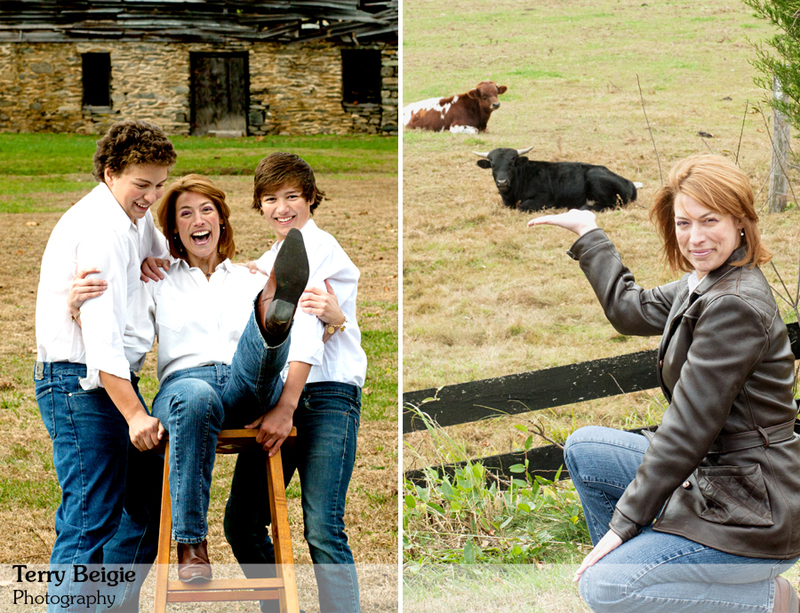 She wanted some photos for holiday cards so she hopped in the car with her two boys and I dragged her freezing self out to a fun little spot in Madison County, Virginia, for some goofy, some silly, but all beautiful photos of her and her ever-growing handsome young men! Thanks for always being there for me Jen! Learn more about this location in Madison, here.